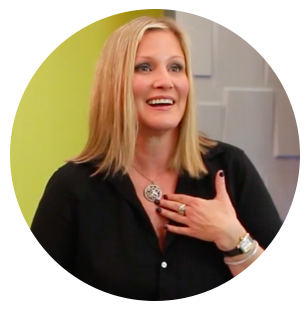 Let's get Real about all things spiritual with Laura Boone! With the help of her guests, her guides and her thirst for knowledge, Laura Boone explores the adventures and surprises that await in the spiritual life. Topics include useful knowledge, insights and tools to enhance an individuals quest for their best life. Laura is back for Season 3! In her final installment for her astrological sign series, Laura explores Pisces: the wise, profoundly emotional, most empathetic type of the zodiac. Learn what these old souls bring to our lives, and what their greatest strengths and weaknesses are. Terrorist Bombers and Landlords Oh My! Are You A Racehorse- How Big Is Your Heart? It’s the dog days of summer and we have an interesting combination of characters in the sky to contend with. Here’s one thing I can promise…no one will be bored this month. 6, yes I said SIX, planets will be in retrograde in August. What does that mean? Well it depends on the planet and sign. Many people believe that retrograde brings out the negative or dark side of a planet. I disagree. I think that retrograde can dim the power of a transit or require us to revisit that category of our lives and reassess our behavior or choices. In other words, clean house, “come to Jesus,” change course, try a new approach, or apply discipline. With so many areas of our lives being affected by this you have a big list to choose from in terms of focus. Overwhelmed? Here’s my advice: What area of your life have you been putting off changing? What behavior or situation do you need to wrangle, control, change or pay more attention to? You know what you need to do. Don’t feel like making any effort this month? The consequences of your inaction will ratchet up until you take responsibility. If you take your medicine some tough situations could be permanently resolved. Now doesn’t that sound better than mayhem? Happy Birthday my lions and lionesses! Summer is your season in every way. The Sun is even your ruling “planet.” You have an actual burning massive star as your patron heavenly body. Wow. Remember that because I’ll come back to it in a minute. With some of the bigger planets in Earth and Water signs in retrograde, this is a time of rain on your proverbial parade. There is a heaviness or a damper at times on your moments of frivolity or passion. Situations may not resolve at the pace that you desire. There are always complications to wade through. When you feel frustrated try not to turn it on others. This is a month where words can hurt and do damage. Hold your tongue and direct your reflection inward. You are a burning star. You have a generator that is bigger than any circumstance. Own your inner power. The sun doesn’t attack the rain, it just evaporates the closer it gets to its surface. Shine your light and let problems take their own course and dissolve. You, like everyone else, will be affected by the Mars and Mercury retrograde this month. Virgos are less likely to speak out of turn…they are typically too careful for that. My advice is to cut those around you who struggle with foot in mouth disease some slack. Don’t take everything so personally and hole up to lick your wounds. Yes you are right but they are human. Life isn’t about always being right it’s about connecting and compassion. The last week of August is a divine moment for you all with a grand earth trine- AGAIN. Lucky you, especially those Virgos born August 25th- 30th. Yes, the earth and water retrogrades are heavy for you this month but the stars are giving you some lovely breaks too. Firstly, while everyone else is saying the wrong thing in conflict, you have an opportunity to speak up for yourself. August will give you your voice back so it’s time to tell it like it is! Your other gift is from your patron planet Venus who is home to stay for a little while in Libra. This means extra money and the ability to attract potential partners of all kinds. You don’t even need to pull out your milkshake machine or bat your eyelashes! Many of the transits that are wreaking havoc on others are propelling you to success right now. The retrogrades may slow down your progress a bit but you are still moving forward and expanding your life. With Mars and Mercury squaring your sun AND in retrograde, you may be feeling over confident and taking risks or saying things that may backfire on you. Even though things are going well, hold back this month. Be conservative with your energy and ventures. Don’t disturb or change things that are going well. This time of year is always good for you with the Sun in Leo. It helps your life vision. How can you improve your dailyness? Do you need to change your habits, routine or choice of activities? This Mercury in retrograde informs you to be calm with your loved ones, even in the face of frustration. After August 7th some funds could release in your favor or a past partner or love could come a callin’. If you are in a relationship, enjoy a magical last three months of August. If you are not in a relationship put yourself out there. You could meet the one this month. Romance is in the air. These transits require you to work harder on your goals and to assess your process. These activities come naturally to Capricorns. They also will require you to change some habits. Change does NOT come naturally to Capricorns. Please revisit the introductory paragraph at the beginning of this article. What do you know that you need to button up? Your diet and/or exercise perhaps? Yep I thought so. Don’t procrastinate, your health is at stake. This Mercury in retrograde will be a big one for you. Heed my advice and don’t try to push people to do what you want. Convince them that they WANT to do it and that it is THEIR CHOICE. They will flock to you en masse with this approach. In other words, attract don’t force. After August 7th, good love. After August 13th, revisit your finances and/or business plan. Is it working? Does it need a tweak? You may have surprises regarding property or finances this month…go with the flow. There is nothing that you can do to prepare for these changes and they don’t have to be bad; they can be fabulous! Breathe in, breathe out. I don’t know if you’ve read the other horoscopes but this month is pretty tough for the other signs. I’m not saying it’s all rosy for you but I do believe that you could be the sign with the most to gain right now. It all depends on how you use the big energy that is being dealt from the universe right now. Take a cue from Tai Kwon Do. When aggression come towards you in any form (an attack, a confrontation) do not expend energy towards it in defense. Receive the energy and turn it back towards the sender. I know this sounds woo woo but it works. Don’t be hooked by the anger or confrontation. Just hold up a mirror in a non-emotional way and enjoy the power of nonviolent protest. Our Aries friends don’t like to slow down for any reason. What they lack in meticulousness they make up for in sheer passion and determination. They are bold, energetic and fearless. Unfortunately, this month all of these qualities are not very useful. Please heed my advice and save your energy. You are being called to make your list and check it twice. You must stop and look at the map or the plan or the process. Ask for proverbial directions. If you aren’t good at the details, find someone who is and ask them to check things for you. You will be glad that you did and more efficiently reach your goals. Yes-you can go faster if you slow down this month. Typically the first three weeks of August are never your favorite because Leo squares your sun. Everything will always get better for you when Virgo hits on August 24th. August of 2018, however, should be a lot more to your liking. You may feel tired and drained and quite frankly annoyed by the monotony of other people. But unlike the other signs, your productivity will be off the chart. In other words, keep your head down and produce. You can pile up results, money, strategies and clear goals. Evaluate your real estate. It may be time to sell. You also have the favor of your boss or authority figure. You may not make much progress this month towards your goals but you will have a clearer vision than you have had in a while as to where you can go. You see potential like never before. You just can’t run very fast towards your horizon. That’s ok. It’s time to plan, take stock and make a vision board. Half of the ingredient for success is being able to see where you want to be and who you want to be. Have conversations with your future self. KNOW that you will get there. Enjoy being outdoors and get some sun. The Leo summer weeks are illuminating your dreams, enjoy it while you can. Not only are the retrogrades effecting you this month, they are SQUARING your watery crab sign. That means that you may feel like you are running into a brick wall constantly in lieu of making progress. This will make you very ANGRY. Especially as it pertains to Mars in retrograde in the sign of Libra. To help you cope let’s take inspiration from your spirit animal the crab shall we? Crabs are best at camouflage. They blend in and move quickly. They are quiet. They are stealthy. They are brilliant at succeeding while no one is really looking. Crabs are NOT at their best when they feel cornered and stand to attack. Have you ever seen a crab angry and trying to wave its claws to intimidate? It’s almost funny. It certainly isn’t effective. Do what you do best this month and don’t be pushed into making a fool of yourself. No angry displays, please. You can however win against your competitors with cunning hidden strategy.